What if none of the things Vlad did in the movie Dracula Untold ever happen? Like being in love with Mirena, or having a son, or being in a war with the Turks? In this story Vlad chose to be immoral. Pomponia a Romanian woman. Her father is the head warrior of the Transylvanian​ army. So Pomponia's family moves into Castle Dracula. One day, Pomponia gets a beautiful present. But who gave it to her? What will happen would change everyone's life. Before everything goes happy ever after, a problem will rise. Please Vote, Comment, and Follow me on my other books and me!!! Catherine is thousands of years old. She was the very first bride of Dracula. He changed her when she was 18.Catherine is not very fond of the other brides who call him master. This is the story of Dracula. This is a story about true love, betrayal, vampires, but most of all it teaches us that love is the greatest force that exists. Vladimir Dracula has lived through many centuries. In our present day he is a wealthy business man who makes his money off of preserving priceless artifacts. Vlad's heart has turned to stone, and is cold to the world. He only wallows in the monster he is. Everything changes when Vlad becomes acquainted with a woman. A woman that ignites a fire in a soul he never thought he still had. Vlad lusts for this woman. Nicoleta is a quiet person. She lives a quiet life in her apartment working as a bartender. She never thought she'd be in a lustful and passionate relationship with a man that could steal any woman's heart. Nicoleta sees the pain Vlad lives with, and desperately wants to help. Can Nicoleta break through Vlad's stone heart? Or will their love even be able to survive? The master vampire is wanting Vlad and Pomponia to take his side to get revenge on the one who betray him. I was only a young thing when I heard the story of Vlad the Impaler. But now, he is known as Dracula, to almost all. My mother used to tell me that it was only a story, that there was no such man to ever have existed, "Like a silly old myth. A legend that was drawn out through the ages of time, twisted and mangled until it was unrecognizable." she'd say to me. Of course I would almost believe her, but when she wasn't around my father and brother's would convince me otherwise. I'd love hearing their stories, their tales of adventures with knights and kings and lost treasures. But when darkness struck over the lands and devoured everything in black we turned to myths, stories and tales to comfort and aid us in our search for peace. With the little knowledge my village contained we were exposed to dangers and open to attacks. We were weak and had nothing to turn to for guidance. But Dracula was one of those stories that we turned to for guidance. But in our search for salvation, for freedom of wicked things we found ourselves confronted with a dark force that we did not think that we would ever truly face again. All had heard the tale of his becoming, of his creation. But not all had heard his true story, his life story of how he became to be called Dracula and be known for cruelty. Each person saw him as a danger, a threat to life and wished him dead or otherwise thought him just a story to tell children into scaring them into bed at night. I believe those wicked stories, those terrible ideas of limitless power and identity to last through the ages. Sometimes, as a girl, I would feel that he would be there watching me play with my brothers. Watching me grow up into a woman, learning, dancing, singing like someone of youth would do during work. But I was always reminded that it was silly and childish to think of a character watching me from a distance like a wild cat. But could he be actually there? 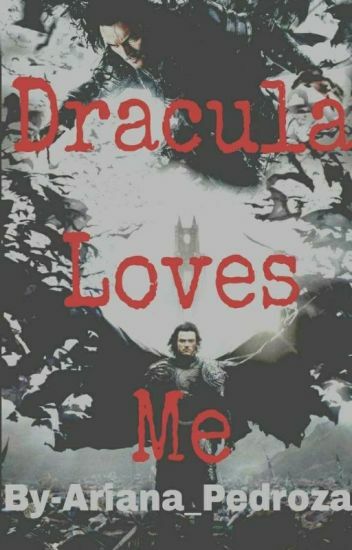 No one expected to see unconditional love between father and daughter, especially when the father was Dracula. Vlad has been living out his life as an immortal man since 1462. As his life long eternity pulls him into a never-ending adventure, the past has come back to haunt him. The master vampire who now goes by 'Gaius Lamia' has become a threat to him. Meanwhile, 22-year-old Raven Sierra King has been unknowingly targeted by a monster she never knew existed. When Vlad saves Raven's life from an attacker, multiple times, she's brought into the world f supernaturals and must adapt to survive, because more than one monster is after her, for different reasons. If she and Vlad can work together, they can stop the creatures from hurting anybody else. As they begin to pick up allies and enemies, they must work out how to stop the threats which proves to be harder than expected. While Vlad takes to the night with his new immortal body to return home and defend his family, he comes across large pitiful creature caught in a trap. After being compelled He releases the gigantic Wolf. And employes her into his service. What will happen when the most timid girl ever becomes Dracula's one and only interest. Also go read my other fan fiction the Flim Flam sister. She began with a hiss. "That worthless creature is my friend. If you lay a hand on him again. I will kill you. " "You will, how?" He seethed. She poked her finger on his chest. "I will drive a stake, straight through your nonexistent heart." She paused. "I will keep driving it through until it reaches the other side. I will watch what ever life you have fade." Kidnapped and stuck inside the castle of Dracula, Alandra grows close to another vampire. Dracula cannot stand the fact of any completion, he stomps the flame before it can ignite. Alandra loathes the very thought of Vlad and wishes to have nothing to do with him. Will her mind change? Or will she only see the cruel exterior?